The Boston Red Sox say fans who hung a sign about racism over the Green Monster during a game were escorted from Fenway Park because of a club policy "prohibiting signs of any kind to be hung or affixed to the ballpark." Some fans unfurled a sign that read: "Racism is as American as Baseball" during the fourth inning of Wednesday night's 7-3 loss to Oakland. Four individuals were escorted out. There were no arrests and no one was banned from returning, club spokesman Kevin Gregg said. "It’s concerning any time you have a sign that can be that large and make its way in," Boston team president and CEO Sam Kennedy told WEEI on Thursday. "After we got them off the Monster and took them downstairs, our security questioned them, and they left without any further incident. And that was our focus. Just getting our sign out there, and getting the folks out there for violating the policy." The banner was up on the wall for about one batter until umpires asked it be removed because it was in fair territory on the left field wall. There was a spattering of boos from the crowd as Red Sox security forced the fans to remove it and escorted them from their seats. Some fans holding the banner were white. The Red Sox said one fan said they were inspired by the Black Lives Matter movement. In a video posted on social media, an Antifa Boston member whose face was partially covered claimed responsibility, explaining that the anti-fascist group was inspired by sportswriter Howard Bryant's argument that baseball is a "white man's game," and that the Red Sox' history also played a part. But a member of the protest group who spoke to CSNNE said Antifa Boston's claim of responsibility is "ridiculous." "The five of us are in no way associated with Antifa nor did Antifa Boston have anything to do with the action," the group member wrote in a text. As proof, they provided an image of the banner when it was being unfurled ahead of the demonstration. Red Sox manager John Farrell said he saw the banner draped over the wall during Wednesday night's game. "From the dugout, you see someone expressing their opinion and it looked like it was withdrawn relatively quick," he said. Boston right fielder Mookie Betts also saw it. "There's no place for that," Betts said. "That's for another day, though." 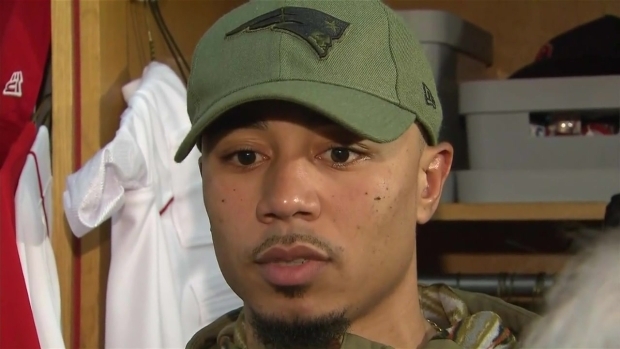 Red Sox Mookie Betts reacts to the banner that was unfurled on the Green Monster at Fenway Park on Wednesday night. Boston Mayor Marty Walsh offered his thoughts on the banner Thursday. "In a way, it's a positive message - I think the wrong place to put it because you can't bring something into Fenway Park," he said. "They won't let you do that, but they did it, so not much more I can say about it." It's not the first time that the Red Sox have responded to the topic of racism at the ballpark. Earlier this season, Orioles center fielder Adam Jones said after a game on May 1 that he was the victim of racial slurs and had peanuts thrown at him during the game. The next day, Jones received a personal apology from Kennedy on behalf of the club. When he stepped up for his first at-bat of the game, he was given extended applause from the Fenway crowd. Red Sox pitcher Chris Sale stepped off the mound to allow the applause to continue. "Just appreciative that action was taken and not everybody feels the same way as selected people," Jones said. "Sale, who works extremely fast, took his time and let it relish a little bit, so I appreciate the sentiments," Jones said after Boston won 5-2. In August, owner John Henry said his team will lead the effort to change the name of Yawkey Way. 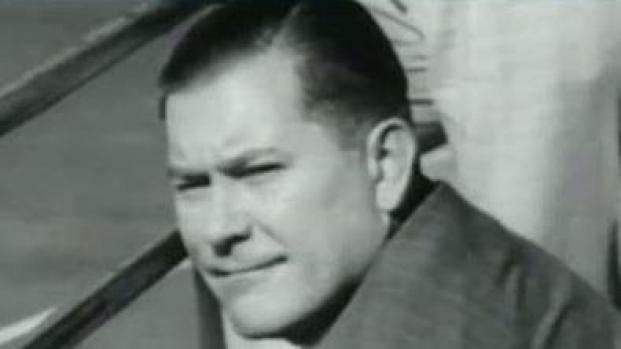 The street is currently named after Tom Yawkey, who owned the team from 1933-76 but refused to integrate the team from 1947-59. Chris Collins of UMass Athletics joins Sue O'connell to talk about Yawkey way and its namesake, Tom Yawkey.